We are excited about sharing our fun and warm home with family, friends, and guests! 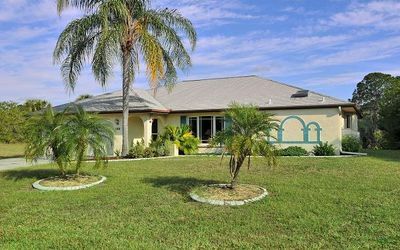 This home has been completely remodeled and professionally decorated. Brand New A/C installed July 7, 2017. New Diamond bright pebble stone pool surface installed as of November 2016. Solar panels with automatic sensors have been installed to provide a heated pool. 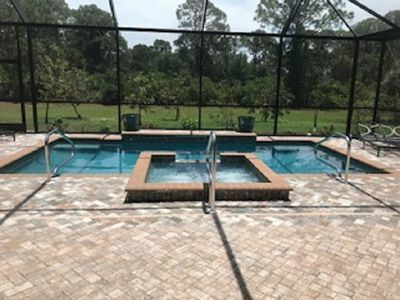 Automatic Sensors have been installed to distribute pool temperature of your liking. 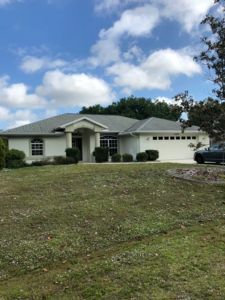 Huge remodeled kitchen with solid wood cabinets and granite counter tops. Beautiful lighting with over 40 LED high hats throughout our home. Open Floor plan to large living room and sliders inviting lanai. Two refrigerators which one is located in the Kitchen area and the other refrigerator is located by the pool area. Brand new furniture has been placed throughout our entire home. A 55-inch HDTV has been placed in the living room area with HDTV’s placed throughout all Three bedrooms. All bedrooms come with Ultra Mattress Protector to provide 99.9 % Dust mite free for allergy relief for healthier sleeping which has been lab tested. 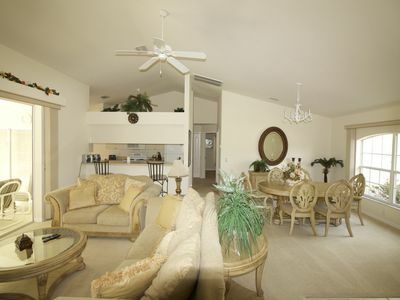 Remote control fans have been placed in the living room area including all three bedrooms for your convenience. 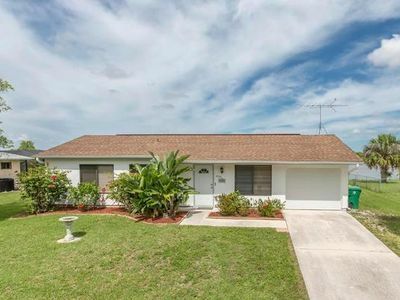 Newly remodeled 2.5 bathrooms with shower stall in the master bathroom with dual sink. Main bath with tub/shower combo, dual sinks and its own separate shower. Garage with washer and dryer available. 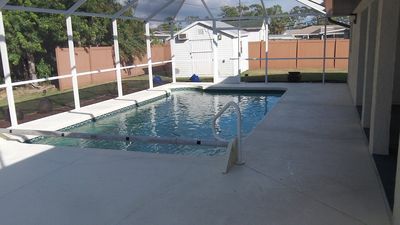 Screened pool and large pool including stainless steel gas grill with sitting area. Fenced yard with plenty of room to store boats and toys. 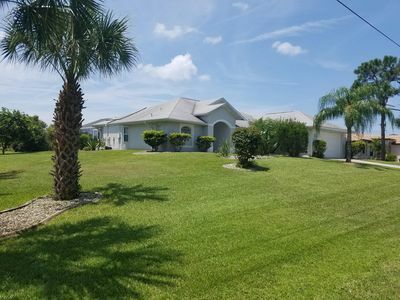 Huge dock area with one-year-old 10,000 LB boat lift, seawall and dock with water/electric for the avid boater/fisherman. It is our weekend/vacation get-away place to enjoy boating, fishing, sitting out poolside/canal side (with boat lift), or bike riding. For boaters it is a 15-minute drive to the open waters. 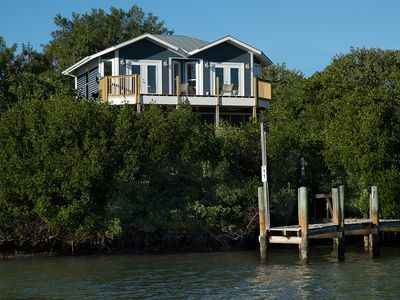 For fishing lovers, there are nearby boat rentals and fishing charters. 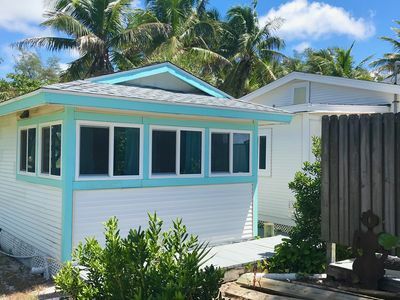 After a great day out boating and enjoying the sun, wind down by visiting the Fisherman’s Warf in Punta Gorda with outdoor shopping, dining, and live music. 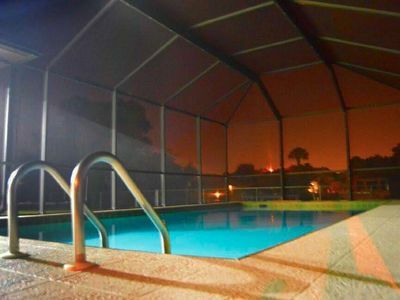 Port Charlotte Gulf Club is 10 minutes away from our home. Port Charlotte Beach Park just 13 minutes away from our home. 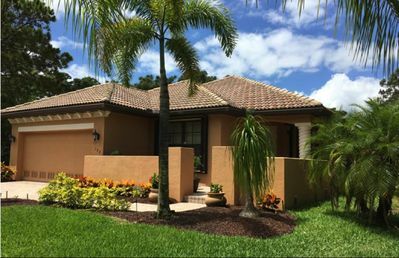 We are 5 minutes away from nearby stores and restaurants. 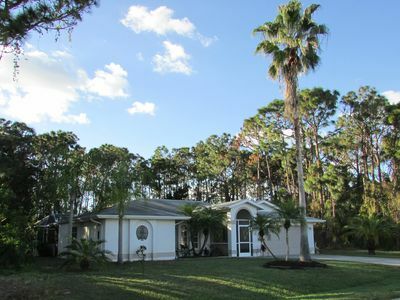 Beautiful neighborhood with an open lot next to our home to enjoy privacy. 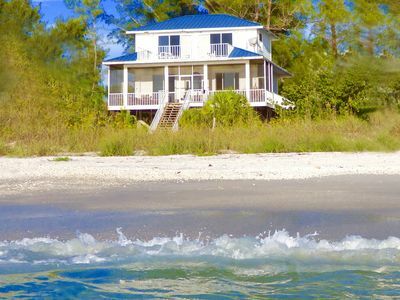 We recommend a visit to Gasparilla Island State Park beach; it is approximately 30 min drive from Port Charlotte and will remind you of a beautiful Key West setting. 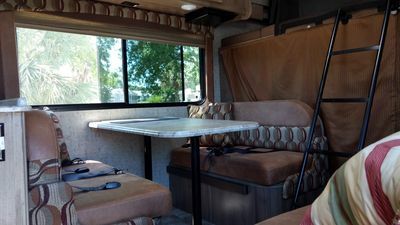 Can refer for a Kayak (7ft) and Canoe (14ft) $100 a month including Kayak and Canoe. This will include drop off and pick up of the Kayak and Canoe. Prices vary for shorter time frames. Home of the Tampa Bay Rays for Baseball Spring Training. Stadium is 3.9 miles away from the residence. We are confident you will feel right at home, just as we do. 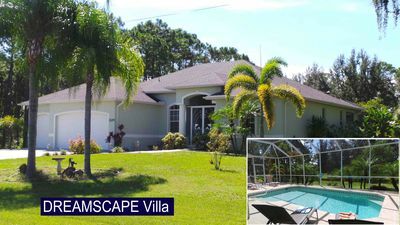 Port Charlotte Home w/ Views, Heated Pool & Spa! 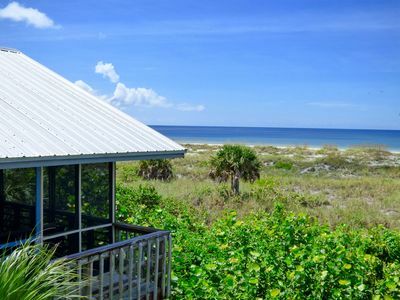 Gulf front, FREE golf cart, stunning views of sunsets over the private beach! 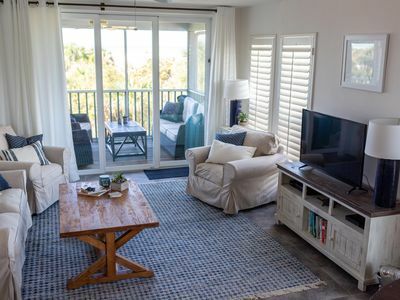 RoseMary's BeachHouse: Elegant Oceanfront Vacation Cottage Right on the Beach! 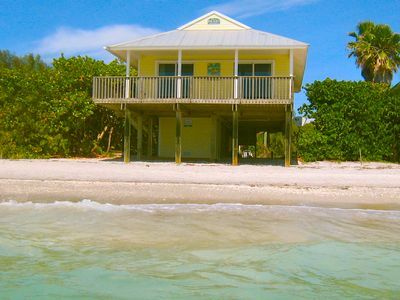 Sand Dollar Cottage: "Old Florida" Oceanfront Retreat; Private Dock! 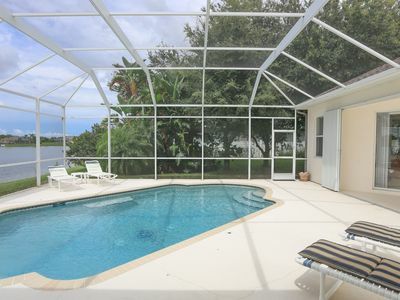 Luxury Riverside Villa near beaches, golf courses and shops. 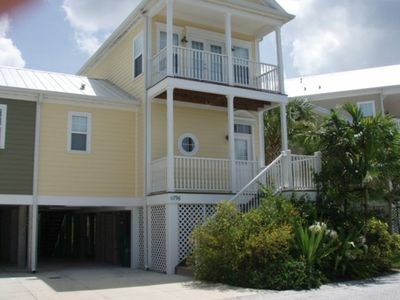 1800 SF Snover Canal Waterfront House, 3 bedroom 2 bath, conviently located.